Marina is an all-round artist. 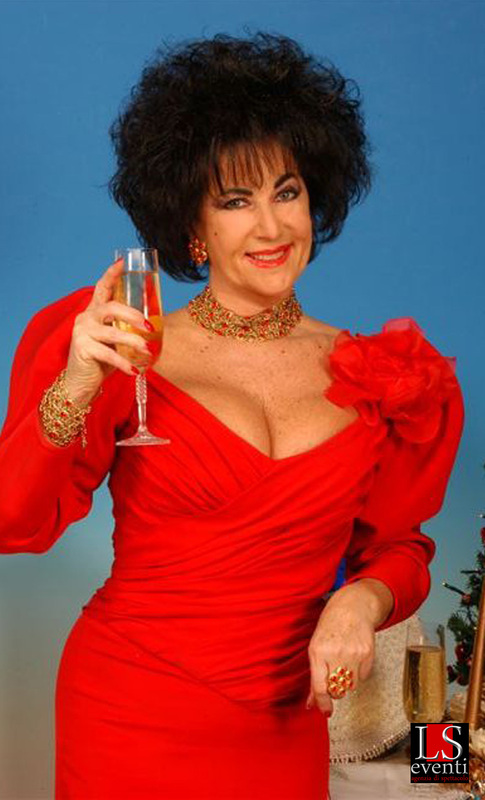 Actress, presenter, writer, singer and official Liz Taylor lookalike. She studied languages in London and Paris and acquired a perfect proficiency in English and French. She is the leading member of the golden world of Hollywood. She has been a TV star in Italian speaking Switzerland for a movie about her life lived in parallel with Liz Taylor entitled “Io e Liz” (2014). She was invited as a guest to Washington for the second Bill Clinton's inauguration at the White House. To celebrate her twenty-year career the United States Postal Service decided to honour her with a stamp with her image, which is currently under legal proceedings in the United States. She has repeatedly been a guest at the Oscar night or at the Cannes and Venice Film Festivals. For cinema she worked with actors of the calibre of Alberto Sordi, Gérard Depardieu, Catherine Deneuve and Alain Delon. She is highly demanded as sponsor, host of events in Italy and abroad or spokesperson during important advertising campaigns.